For many years Schiit Audio staunchly resisted building combination headphone amp/DACs, their thinking being that DAC technology typically evolves much faster than amplifier technology, meaning that amp/DACs are potentially in danger of growing obsolete more rapidly than any of us might wish. At the same time, there’s no denying the convenience of having a good amp and a good DAC bundled together in one nice, neat package. Faced with this dilemma, Schiit Audio President and co-founder Jason Stoddard decided to create what he terms a ‘configurable’ headphone amp called the Jotunheim. The Jotunheim is a compact, fully balanced, high-powered, quiet, and very low distortion headphone amp/preamplifier that uses an all-new (and hypothetically patentable) Stoddard-developed balanced circuit topology called a ‘Pivot Point’ gain stage. According to Stoddard this new circuit gives the Jotunheim better measurable performance in almost all respects (save for sheer power output) than any other headphone amplifiers the firm makes irrespective of price, which is saying a mouthful. The name Jotunheim, like so many other Schiit Audio product names, is drawn from Norse mythology and means “Land of the Giants”—a name that takes on ironic connotations once you realise that while the amp may produce a giant sound, it isn’t very big in physical terms. But happily for music lovers on a budget, Jotunheim also isn’t very big in terms of its asking price. Thus, despite the fact that the Jotunheim offers some of the best sound and most sophisticated circuitry of any Schiit Audio product to date, it sells for—wait for it—just £385, making it an undeniable bargain. Apparently, the Pivot Point circuit is unorthodox, so that when Stoddard first showed the schematic to his engineers many reacted by opining, “that could never work.” Stoddard had the last laugh, though, when he pointed out he already had several prototypes that were working beautifully in the lab and whose performance specifications were exemplary. To be fair, Stoddard concedes that even he did not at first fully grasp exactly how his new circuit actually worked, meaning that early versions of the circuit contained what eventually proved to be superfluous parts. As Stoddard and his team learned more about the circuit’s operating principles they were able to eliminate unnecessary parts, in the process making the Pivot Point design simpler, more reliable, better sounding, and less costly to build. Given its low price, you might surmise that the Jotunheim is a minimalist design and in some respects it is, but nothing important (well, apart from a remote control, which has deliberately been omitted) has been left out. For instance, the amp features both balanced (XLR) and single-ended (RCA) inputs and preamplifier outputs on its rear panel, along with balanced (4-pin XLR) and single-ended (6.35mm headphone jack) outputs on its faceplate. Also up front are two small toggle switches, one for choosing high or low gain (yielding gain of either 2 or 8) and the other for choosing single-ended, balanced, or other input options (including, at this point, optional Jotunheim USB DAC or phono stage modules). Plainly the things that make Jotunheim a ‘configurable’ headphone amp are the optional USB DAC or phono stage modules, which can be chosen (or not) when the unit is ordered and must be factory installed. Either module adds a modest £100 to the Jotunheim’s price. The only small catch, given the compact dimensions of the Jotunheim chassis and the size of its power supply, is that the amp can accommodate either the DAC or the phono stage module, but not both at once. The phono stage module is a solid-state, DC coupled and DC servo-controlled design based on AD8599 gain stages with PET film capacitors. The phono stage provides 42 dB of gain, low distortion, and incorporates a fully passive RIAA network said to deliver impressive RIAA tracking accuracy of ± 0.25dB from 20Hz-20kHz. 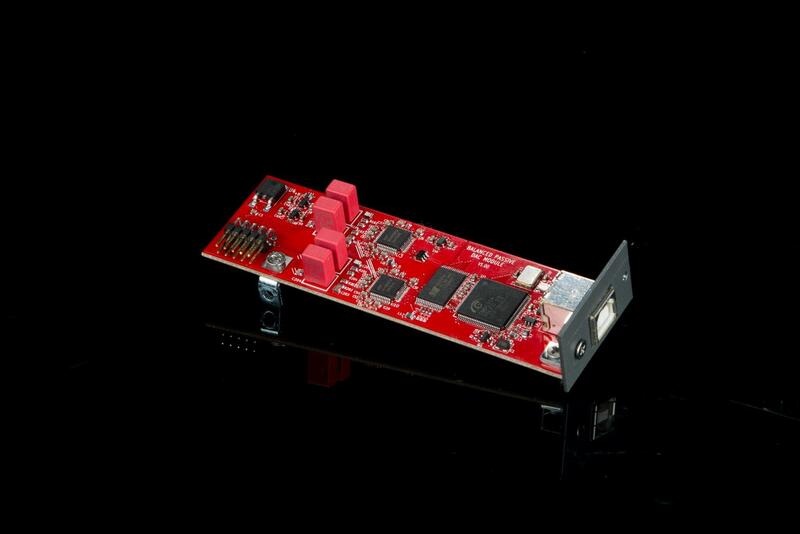 The USB DAC module, with which our review sample was fitted, is a fully balanced, delta-sigma design featuring a C-Media CM6631A USB input receiver and dual AK4490 DAC devices. 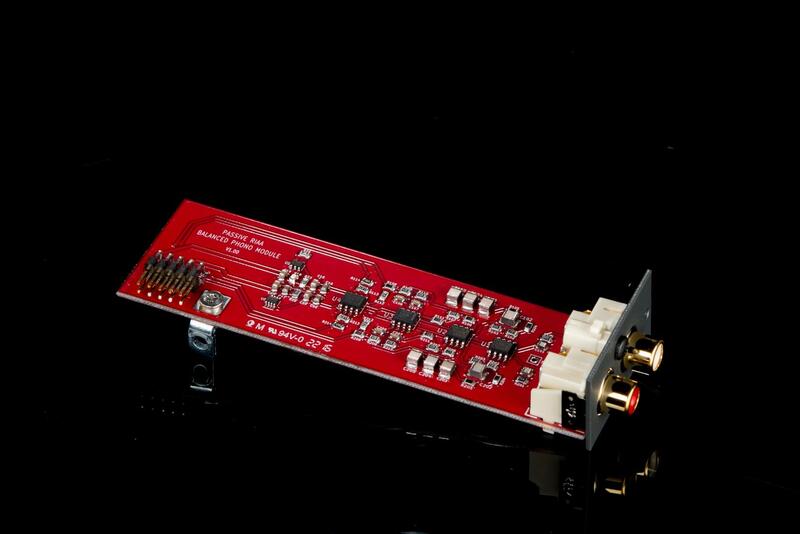 The DAC’s analogue output stage is fully differential, with passive summing and passive filtering. 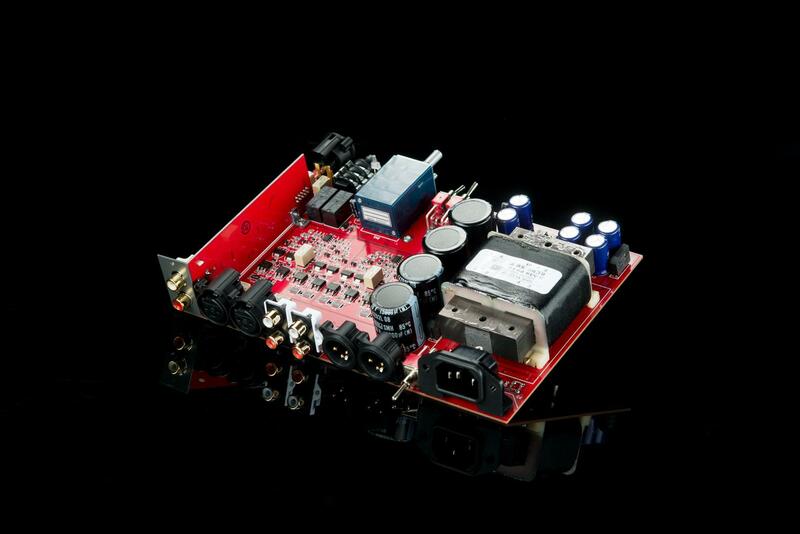 The DAC module offers extremely low distortion and is admirably quiet. Astute followers of Schiit Audio will already know that Mike Moffat, the firm’s co-founder and resident digital audio guru, strongly believes multibit DACs with closed-form digital filters (such as the firm’s famous Yggdrasil DAC) are intrinsically superior to delta-sigma DAC designs. Even so, Moffat concedes that delta-sigma DACs are typically less costly to build and consume less power—both of which are important considerations in the context of the Jotunheim. In fact, Moffat told Hi-Fi+ he regards the Jotunheim DAC module as “a pretty good one as delta-sigma DACs go”—high praise, considering the source.